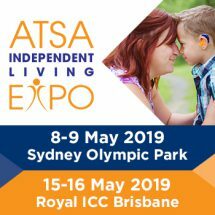 An initiative to help residents and families discuss difficult subjects, a dementia care project and a leadership program are among the projects recognised in nominations for the HESTA Aged Care Awards. 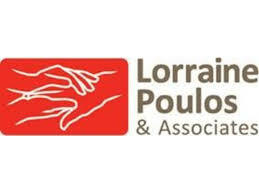 This year, 14 finalists have been announced across the award’s three categories. Chief executive officer of HESTA Debby Blakey said the finalists were selected from an outstanding field of nominations. “These finalists are finding innovative ways to improve the lives for clients and share common unwavering commitment to provide the highest quality care,” Ms Blakey said. Bloomers Café by Tabeel Lutheran Home, Laidley, QLD: For launching a café that provides an open space for family members and residents to discuss difficult subjects such as palliative care, food texture modification, dementia and behavioural challenges. Flametree Dementia Care Project by IRT Woonona, NSW: Using cutting-edge environmental design that promotes independence, wellbeing and interaction, the project is delivering improved outcomes for residents living with dementia and facilitating better connections between family, staff and the community. Sub-Acute Care Program by PresCare – Alexandra Gardens, North Rockhampton, QLD: For its pilot program to better manage clinical deterioration in residents, avoiding unnecessary hospitalisation while maintaining high standards of quality care. Manager in Training Program by BlueCross, Hawthorn East, VIC: For a leadership program designed to identify, foster and retain talented and highly skilled employees, training them to become facility managers of the future. Vietnam Veterans Social Group by RSL Care SA Myrtle Bank, SA: For developing a social group in response to the growing need for social support for Vietnam veterans who are entering residential aged care often at a younger age and with a history of social isolation and complex mental health needs. Atticus Health, Carrum, VIC: Pioneered a mobile emergency department on-call program that provides 24/7 help to residential age care facilities and is increasing standards of medical care while respecting the wishes of residents and reducing hospital admissions. Feros Care, Coolangatta, QLD: For the eVillage program that provides convenient and timely access to GPs and specialists through virtual online consultations that would otherwise not be achievable for residents in the far North Coast Region of NSW. Lifeview Residential Care, Melbourne, VIC: Utilised international and Australian best practice models to provide holistic, consumer-directed care promoting quality of life, health, wellbeing and independence for each resident. Maurice Zeffert Home (Inc), Dianella, WA: Implementation of a fully-integrated consumer directed care system that recognises the importance of all stakeholders and empowers them to collectively enhance the holistic wellbeing of those receiving care. 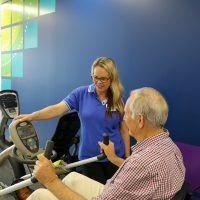 Southern Cross Care (SA & NT) Parkside, SA: For starting Health & Wellness Centres in six residential care homes that are coordinated by qualified fitness coordinators providing individualised fitness programs aimed at improving residents’ strength and fitness. Stanka Cica, MYVISTA, Balcatta, WA: An activities coordinator who uses her fluency in four languages to provide high quality, culturally-appropriate care for residents and support for their families. Liz Drew, Churches of Christ Care, Kenmore, QLD: For leading a clinical governance team, implementing innovative strategies and training programs for thousands of professionals across Queensland and Victoria, and helping to tackle a skills shortage in the sector. Camille Koch, Macedon Ranges Health – Gisborne Oaks Residential Aged Care, Gisborne, VIC: Recognised for her work in improving wound management through the establishment of a multidisciplinary wounds resource team – leading to improved practice, a reduction in the severity of wounds and better documentation. 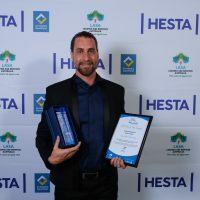 Himanshu Singh, annecto, Sydney, NSW: For improving the outcomes for older Australians from a diverse range of backgrounds including Aboriginal and Torres Strait Islander peoples of Western Sydney through building relationships, identifying needs and facilitating connections.